Wharf Road, Fenny Compton, Warwickshire, United Kingdom. CV47 2FE. 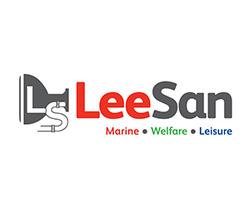 Here at Lee Sanitation we have over 25 years experience in the sanitation business, starting in the Leisure Marine market and expanding into Sewage Pumping Installations and Commercial, Domestic & Industrial Equipment. We are located in the Midlands, close to major transport links. The warehouse at Fenny Compton covers 6500sq. ft. and constantly holds a large range of stock. With a reputation for fast, efficient and friendly service, we are not only a supplier, we also have considerable experience in design, manufacturing, technical support and maintenance. The "LeeSan" brand of high quality products is available from stock and we believe in keeping a vast range of spare parts and accessories from all major manufacturers!